What Herbs Pair Well With Beef and Blue Cheese? 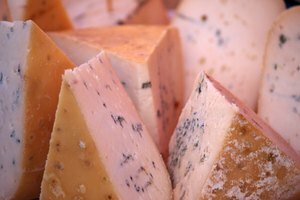 Beef and blue cheese are frequently paired together in gourmet and casual recipes. You can top sirloin and filet mignon steaks with a crumbling of blue cheese or serve the steaks with a rich, blue cheese flavored sauce. Jazz up hamburgers with a surprise filling of blue cheese that oozes out when bitten or lightly mix the blue cheese into the ground beef for more subtle flavoring. Various herbs enhance the pairing of beef and blue cheese. Italian parsley, also called flat-leaf parsley, has an earthy, green taste that accentuates the bite of blue cheese. The parsley’s texture complements the cheese’s creaminess. Beef tastes good served with a sprinkling of chopped parsley on top. While rosemary overpowers the natural flavor of beef when used too liberally, mixing it with blue cheese along with other herbs and toasted nuts tames it and makes it a good topping for grilled or broiled steaks. 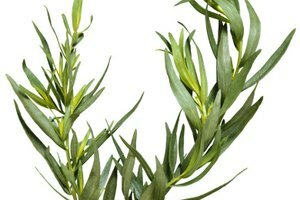 Rosemary stems tossed on a charcoal fire infuse beef with a subtle, woodsy taste. Used as both an herb and vegetable, garlic rubbed on the outside of steaks before cooking adds a flavor level without overpowering the beef. Finely minced and sparingly mixed with blue cheese or added to a blue cheese sauce, garlic enhances the beef’s savory essence. 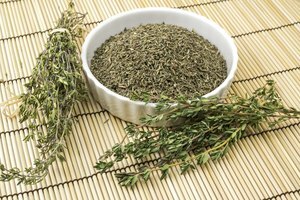 Like rosemary, thyme is a strong, woodsy herb that can dominate the flavors of beef or cheese rather than enhance them if used imprudently. Fresh thyme is especially overpowering, but if you pluck just a few leaves and sprinkle them on a freshly grilled steak, it is sublime. 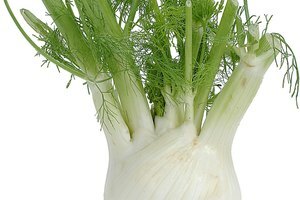 Use it just as sparingly to flavor blue cheese in a sauce or topping. Oregano has a sweeter flavor than thyme and the two herbs complement each other to create a complex taste that brings out the best in steaks. If used in conjunction with a blue cheese accompaniment, oregano takes the edge off the tanginess of the cheese. Although sage is often reserved for seasoning pork roasts and livening up poultry stuffing, when mixed in small amounts with thyme, oregano and garlic, it gives steaks extra flavor. 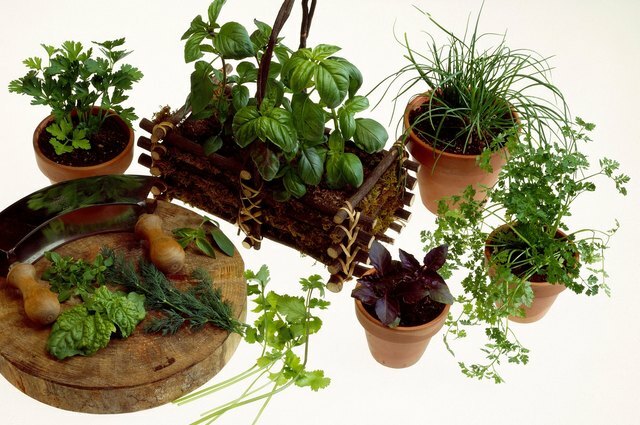 The herb combination brings out the best in blue cheese toppings or sauces served with the steak. As one of nature’s gentler herbs, chives have a mild onion taste that complements beef and blue cheese. A few slender strands atop a steak or tiny round of blue cheese make a nice presentation while adding delicate taste and fragrance to the dish.